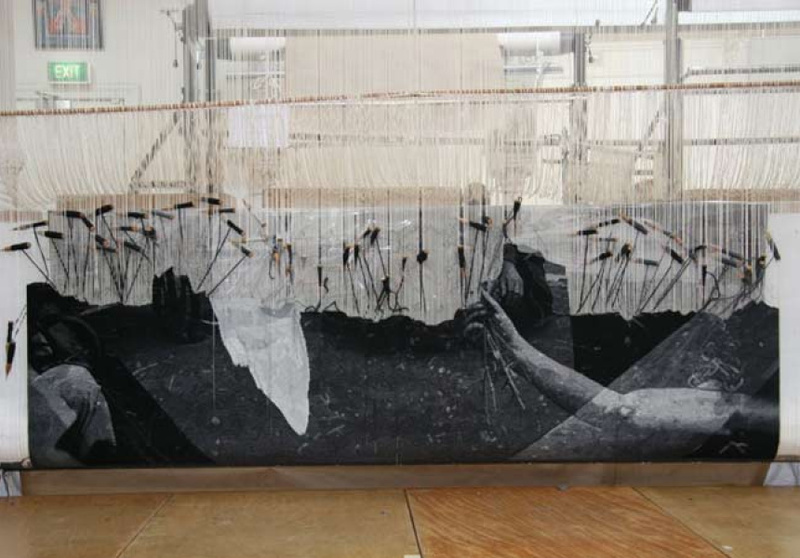 In a familiar tale of old and new we talk to Atonia Syme, the director of the Australian Tapestry Workshop, about a renewed interest in the handmade art of tapestry. In a familiar tale of old and new, one of the most antiquarian art forms known – tapestry – has taken on a leading role as a cutting edge medium. 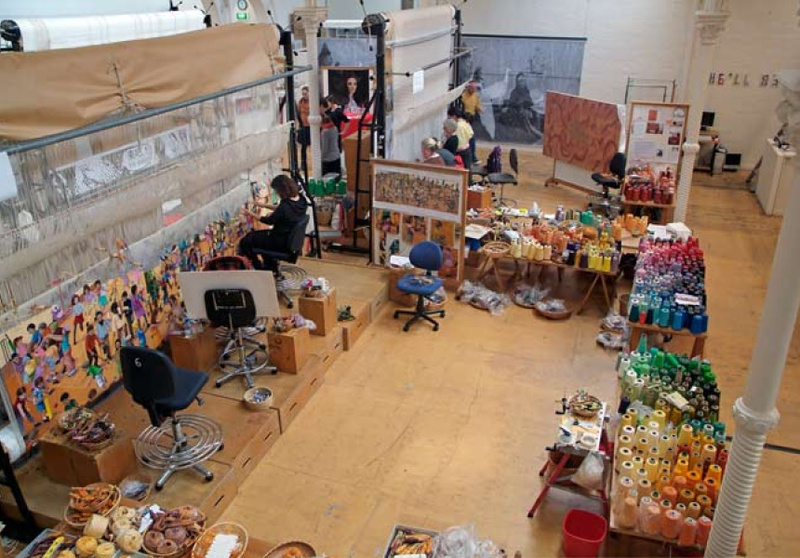 Talking about a renewed interest in their handmade arts, Australian Tapestry Workshop (ATW) director Antonia Syme says they are keen to take on challenging projects and bring new energy to their work – especially following a recent name change from the Victorian Tapestry Workshop in recognition of their elevation overseas. “Increasingly we have had exhibitions overseas, and really the name change seemed to be the sensible way to go for us if we were exhibiting internationally,” she notes. And it is this enduring connection, combined with their dynamic, rich colours and the malleable, contemporary nature of the medium, that has seen the workshops’s tapestries hung all over Australia and the world. Now having produced over 400 individual pieces, for artists such as Reg Mobassa, John Olsen, Arthur Boyd and Roger Kemp, the ATW’s work is displayed in many iconic buildings including Parliament House, the Great Hall at the National Gallery of Victoria and Australian embassies in Paris and Washington. In 2009 the workshop was also part of the State of Design Festival, with resident artist – and king of found materials – Peter Atkins making use of their leftover yarns to create a series of designer rugs. They also collaborated with DIY experimentalist trio Chicks on Speed for the 2009 L’Oreal Melbourne Fashion Festival, and played host to a weekend of “edible tapestries” for the 2010 State of Design Festival. But the current success story is an untitled work by David Noonan, which was commissioned by the Tapestry Foundation of Victoria to specifically showcase the flexibility of their talents. “They were keen to commission a work that really pushed our boundaries in the making of the tapestry, but also could be used to really show that tapestry is as contemporary as the artist you are working with,” Syme says. 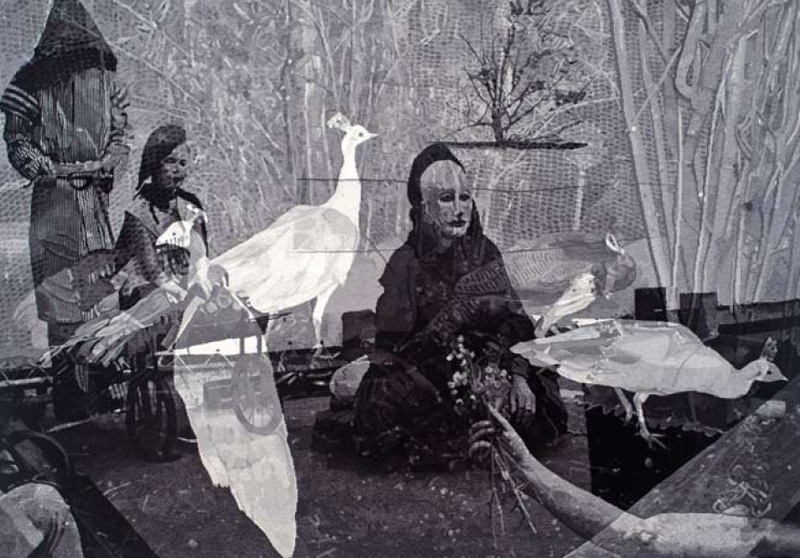 Working from a digital image of Noonan’s signature composite photographic screen-printing style, ATW artisans took an estimated 2250 hours to produce the tapestry, which was recently included in the Adelaide Biennial of Australian Art – as part of the Adelaide Festival – and was one of four works displayed by the workshop at the Melbourne Art Fair. “When I first saw it, I thought ‘My god, what a challenge!’” Syme laughs. “But we are very proud of the work now, and proud of it being exhibited,” she says. It has also been selected as part of the prestigious British Art Show 7, and will travel around the UK with 39 of the best British artists who have made the most significant contribution to the contemporary art world in the last five years. Humble about what they have already achieved, Syme admits their existence is “always perilous” – and has been since Dame Elisabeth Murdoch and Lady Delacombe established the workshop in 1976 – but understands that the renewed interest in handmade excellence has helped to bring a renewed growth and interest in what they do. “We have got some pretty exciting projects in the pipeline, [including] three big public-space commissions, and our work is getting better and better. It is just wonderful to have a dialogue happening with other artists,” she says.